Off the top of my head, I can think of three cases in which a composer puts out his version of a song, only to have it quickly co-opted by someone else. I’m not talking about Pat Boone’s version of Fats Domino’s ‘Blueberry Hill’ or Bobby Darin’s version of Tim Hardin’s ‘If I Were a Carpenter’. Those are embarrassing covers. I’m also not talking about Rod Stewart’s cover of Tom Waits’ ‘Downtown Train’. There are kazillions of examples of respectable singers making respectable, respectful covers of worthwhile songs. I’m talking about the rare case where an original version is eclipsed by a cover, where the subsequent version discovered qualities the author himself didn’t grasp. 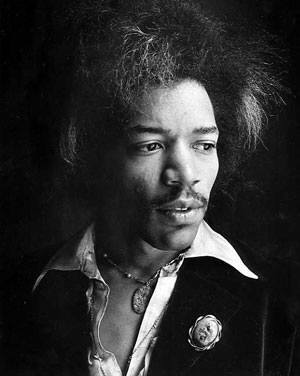 But then Jimi had the tables turned on him with the song ‘Little Wing’, from “Axis: Bold as Love” (1967). Although the album captivated the collective imagination of the entire Freak Nation, ‘Little Wing’ itself went largely unnoticed. 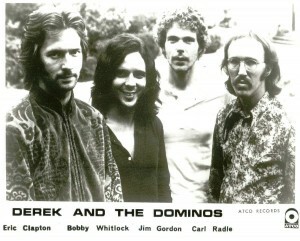 In 1970, Eric Clapton recorded it with Derek & the Dominoes (on the same day he recorded ‘Layla’). Hendrix died 9 days later, so we’ll never get to hear his opinion of Clapton’s version. But it was Slowhand’s version that catapaulted the song into the status it now holds, both as a rite-of-passage for wannabe guitarists and as an inspiration for other explorations. Well, okay, Jimi, thanks for that. Jelly bread??? 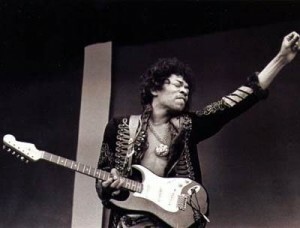 Hendrix’ recorded version showcases his (right-handed) guitar (flipped over to be played upside down by left-handed Jimi) being run through a Leslie speaker, usually used with Hammond organs, together with a distortion effect giving it a unique tone. Mitch Mitchell’s explosive drums cut the dream with speed; Noel Redding’s bass serves as both a floor and a ceiling, without which they’d probably just float away into the sky; a pinch of glockenspiel provides the celestial. Two and a half minutes. It was one of Hendrix’ performance favorites. I found one collection of 14 bootlegged live performances. Here’s one for you, from the Royal Albert Hall, London, England, February 24, 1969. Derek & the Dominos’ version is indeed inspired, from the majesty of the very opening guitar riff. Listen for example to this performance by the Allman Brothers, guest-starring Clapton, 2009. The vocals are fine, Clapton’s guitar is fine, Derek Trucks’ solo is really exciting. But it isn’t in the same stratosphere with the Carl Radle (b)/Jim Gordon (d)/Bobby Whitlock (p) rhythm section, not to mention the second lead guitar of Duane Allman. Or the production of Tom Dowd, who is credited by all involved to have been the key moving force in making the legendary “Layla & Other Assorted Love Songs”. Dowd’s production is genius, pure genius. I don’t need to walk you through ‘Little Wing’ or ‘Layla’ or ‘I Looked Away’ or ‘Bell Bottom Blues’, you’ve listened to them as often as I have. The expansive tapestry of the two guitars, the organ, the drums, the two voices and the bass (that’s all there is), sounding richer and certainly more complex than Phil Spector’s 27 kettle drums on ‘Da Doo Run Run’. You don’t need me to tell you how thrilling and uplifting this music is. 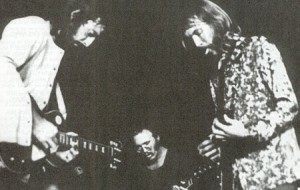 It was D&tD’s version that has inspired the many and varied covers of ‘Little Wing’. There are oodles of virtuoso guitar homages to Clapton/Allman by the likes of Stevie Ray Vaughan and Steve Vai. There are stripped-down melodic versions by the Irish band The Corrs and Tuck & Patti, a knock-out husband (guitar) and wife (vocals) team who perform it as the second half of a medley with another song from “Axis: Bold as Love”, ‘Castles Made of Sand’. If you don’t know Tuck & Patti, give them a listen. They’re not as well-known as they should be, but they are infallibly musically tasteful and technically impressive. One of the great arrangers of the 20th century, Gil Evans (here’s a posting I wrote about his work with Miles Davis) was planning a collaboration with Hendrix before the latter died. The pairing is surprising, seemingly disparate beyond fusion. Evans later recorded with his orchestra a CD of Hendrix music, including a version of ‘Little Wing’. It’s so embarrassingly bad, and I have so much respect for Gil Evans, that I won’t even give you the link to it. 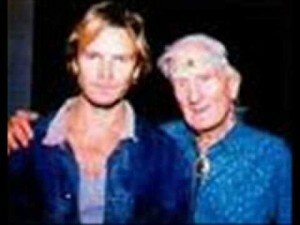 But Evans did help out Sting with his version of the song, which has gained a well-deserved stature in its own right. It’s an impressive amalgam of other treatments, incorporating both the melodic and personal side of the song as well as the complex, energetic, symphonic orchestration. So what are we left with here? I think I usually know what subject I’m addressing–a song, an artist, a song as representing an artist, or an artist as expressing himself in a song. But here it’s an unusual aggregate of a song, various artists, a range of approaches. In the end, I don’t go to Hendrix for songs, but for his disassembly of world order. But he has inspired this one jelly bread of a song, haunting, the rare meeting of psychedelia and reality, a most electric and eclectic homage to the ephemeral bliss of the carnal, Derek & The Dominos’ rapturous recording of ‘Little Wing’. Yeah yeah, yeah, little wing. Best cover: Stevie Ray Vaughan. 10,100,000 viewers can’t be wrong. I agree that the D&D version is the best for Little Wing. I have to agree with Cara, Jimi’s original version will always shine the best. D&D’s cover sounds more like a re-interpretation…their own style. Which is fine. Clapton could never touch the Curtis Mayfield/ church guitar of the Hendrix original. 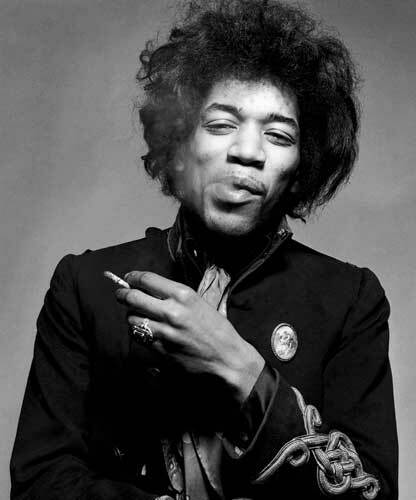 I’m pleasantly surprised that you listen to Hendrix and D&D, since I don’t recall that you did in the good old days. 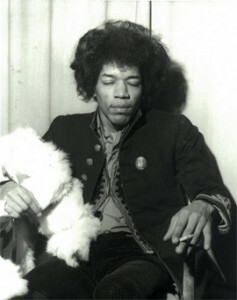 Though, I disagree with you on Hendrix’s cover of Watchtower. I still consider it to be the no.1 best Dylan cover. Stevie Ray also did a great cover of Jimi’s Voodoo Chile (Slight Return). There’s a slightly decent Hendrix tribute album called In From The Storm, the highlight being a terrific cover of The Wind Cries Mary, with Sting singing and playing bass, John McLaughlin playing a breathtaking lead guitar. Mick gifted Gram Parsons ‘Wild Horses’ for FBB before Stones released it. Like Gram’s version better or one could argue Gram was in on the writing and better suited to him. Haven’t posted a comment in a long time, but I was inspired because I *love* this version of this song and I was so glad to read your take. I personally feel that “Layla & Other Assorted Love Songs” is probably my all-time favorite record of all time, so I’m biased. I do love how D&D take the Hendrix song and make it fit in seamlessly with the euphorically aching tone of the originals. Oh Jeff… thank you so much for your research & energy on this LITTLE WING piece. Shall check out the Wind Crying Mary, thank ye. “I actually think Stevie improved on Jimi’s version”. Dylan could say it regarding Jimi’s cover, and it’s fair to say SRV raised the bar on that same tune. There will never be another Master guitarist like Hendrix, NEVER…yet no one ever made the blues sound better in so many forms as Stevie Ray Vaughn. A shout out to Stings version, and a big thumbs down to Derek & the Dominoes. Definitely not one of Clapton’s best efforts.